What Is Indoor Air Quality & Why Does It Matter? Given the hazards of CO2 within any enclosed space, detecting and monitoring the levels of the gas are the first steps toward improving indoor air quality. CO2 detectors, as the name suggests, will take a measure of the CO2 level in an enclosed space and register the concentrations of this gas. The importance of indoor air quality cannot be overstated. Not only could the people inside a building struggle to focus and work efficiently due to high levels of CO2 but also they could suffer serious or even fatal health consequences. An outdated or inefficient ventilation system can also cost a lot of money in wasted energy, not to mention system failures or even fires. 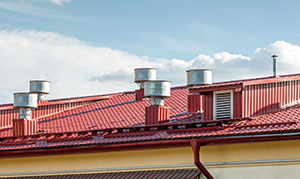 Those with proper HVAC training can often detect the flaws in an internal air circulation system and even upgrade the entire ventilation system to improve indoor air quality and eliminate CO2.